It seems really surreal to say, but after about a year of work, our book is finally out. It’s called The Universe Today Ultimate Guide to Viewing the Cosmos: Everything You Need to Know to Become an Amateur Astronomer. It was written by our own David Dickinson, who provides the majority of amateur astronomy news here on Universe Today. David had been writing more and more complex sky guides here on Universe Today over the last few years, and about a year ago, we pitched the idea of a comprehensive book on amateur astronomy to our friends at Page Street Publishing. They were the same group that published books for two other Universe Today writers: Nancy Atkinson and Bob King. As a space journalist, I come across a lot of amazing stories, photographs, videos and more. And I just don’t have time to cover it all in video form, or even on Universe Today. But I’ve decided to put my information overload to use and write a weekly email newsletter. I’m personally choosing the stories, and I’m personally writing the newsletter. No robots will be involved in the crafting of this newsletter, just good old fashioned artisanal Fraser neurons. This is also a conversation, a way you can comment back to me on the stories that you really like. It comes out once a week on Fridays, contains a dozen or so of the most interesting news and stories I saw this week. Not just stuff from Universe Today, but from across the space reporting sphere. And of course, you can unsubscribe any time. Looking for great holiday gifts for that special someone who is interested in space and the stars? Two writers for Universe Today have you covered whether it’s exploration of the Solar System or learning what to look for in the night sky. Universe Today’s Contributing Editor Nancy Atkinson shares the insights of over 35 NASA scientists and engineers in her new book “Incredible Stories from Space.” And if that gives you the itch to go outside and look up, be sure to get a copy of Bob King’s “Night Sky with the Naked Eye” to help you explore space from your own backyard. In “Incredible Stories from Space: A Behind-the-Scenes Look at the Missions Changing our View of the Cosmos” Nancy takes readers inside the robotic space missions that are transforming our understanding of the solar system and beyond. Weaving together one-on-one interviews along with the extraordinary sagas of missions, this book provides a detailed look at both current and future unmanned missions. It chronicles the struggles and triumphs of nine current spacecraft and captures the true spirit of exploration and discovery. Full color images throughout reveal scientific discoveries and the stunning, breathtaking views of our universe, sent back to Earth by our robotic emissaries to the cosmos. From the first-ever mission to Pluto to the unprecedented hunt for planets outside our solar system, readers will journey along with missions like New Horizons, Kepler, the Curiosity Mars rover, and the iconic Hubble Space Telescope as they unlock the mysteries of the universe. Learn more about the latest findings in our solar system with the Cassini mission to Saturn, Dawn’s visit to the asteroid belt, the Solar Dynamics Observatory, and the Mars and Lunar Reconnaissance Orbiters. Explore the future of space exploration with a preview of upcoming missions. Over the next couple of weeks, Nancy will be sharing “writing-of” stories and other insights garnered during her interviews and travels for the book. Also look for a preview of one chapter here on Universe Today during the week of Dec. 19. “Night Sky with the Naked Eye: How to Find Planets, Constellations, Satellites and Other Night Sky Wonders without a Telescope” will help you gain a deeper appreciation of the universe and our place in it while advancing your knowledge of the night sky. Bob lays out a series of activities that are fun and educational while teaching you how to spot the International Space Station, follow the moon through its phases, forecast an aurora and watch a meteor shower along with traditional night sky activities like identifying the planets, stars and constellations. Unique illustrations and stunning photos help the reader understand the concepts presented. 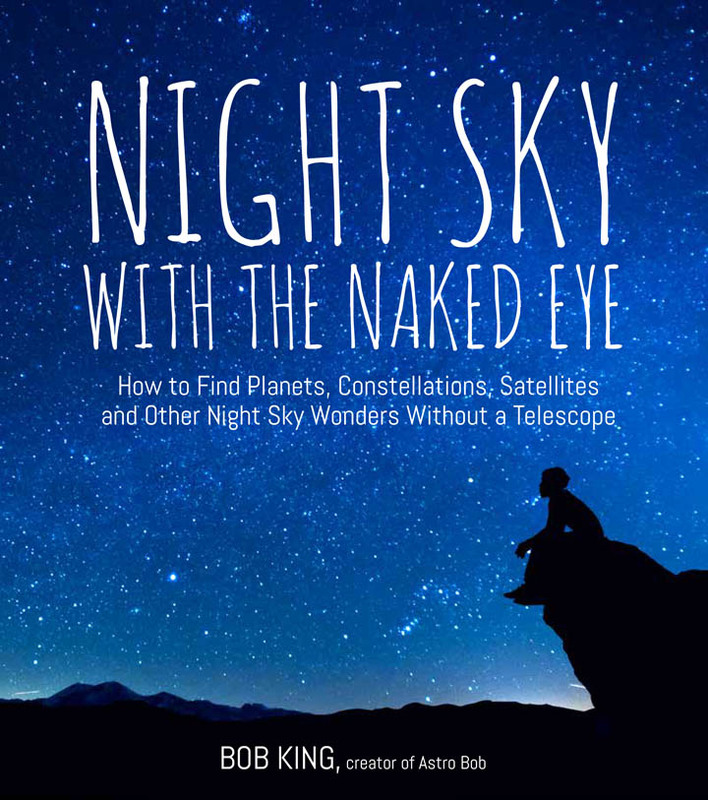 Bob also shows readers how to use a smart phone, the Internet and other resources to enhance time spent under the stars, making this a truly modern and updated night sky book. Many people curious about the night sky think you need expensive equipment to enjoy it. You don’t. This book shows how we can learn a lot about the universe and deepen our appreciation of its beauty using nothing more than our eyeballs. Both books were published by Page Street Publishing, a subsidiary of Macmillan. They are available at Amazon, Barnes & Noble and IndiBound (links below, with great discounts available at this time!) While Nancy’s book doesn’t come out until Dec. 20, its available for pre-order with delivery on the 20th, just in time for the holidays. I just got the word that one of our writers, Tammy Plotner, just passed away after a long struggle with MS.
Hi, I’m Mike Romine, the current president of the Richland Astronomical Society, at Warren Rupp Observatory, in Mansfield, Ohio. This email is to inform you, and I hope you’ll pass it along to your readers, that Tammy Plotner passed away Feb. 11, 2015. Her longtime battle with MS finally took it’s toll. Tammy was the first regular contributor to Universe Today. She started with me in 2004, reporting on what amateur astronomers might see in the night sky using an archaic WebTV to write and send in her stories. When she started, Tammy was… rough. She was enthusiastic, but very wordsy and needed a tremendous amount of editing. But her enthusiasm for the night sky was infectious, and over time, her writing tightened up; wordiness became poetry that described the night sky in amazing detail and made you drag your scope out into the darkness for just a peek. In 2006, Tammy took things to the next level for us and wrote an actual book. We called it What’s Up 2006: 365 Days of Skywatching. We offered it as a free PDF book, and it was downloaded hundreds of thousands of times, and purchased in print form. We did another edition in 2007, and then Springer continued the franchise with Tammy directly. Tammy continued to write for me off and on until just a few months ago. She would disappear for a few months at a time, and I eventually discovered that was because she was suffering from MS. It was making it more and more difficult to get on with the basics of life, let alone set aside the time to write about astronomy. I never met Tammy, that’s the curse of living our lives online. We build relationships with people through email messages and chat, but we can go a decade working side by side and never meet in person. That makes me sad. I should have made the effort to hang out with her. Farewell Tammy, thanks for everything. I’m sorry for your struggle, but I’m grateful for how much you taught me about the sky, and I’ll keep on sharing it with anyone who’ll listen – just like you did. During a crucial speed boosting slingshot maneuver around Earth on Oct. 9, 2013 NASA’s Jupiter-bound Juno probe snapped a dazzling gallery of portraits of our Home Planet over the South American coastline and the Atlantic Ocean. However, an unexpected glitch during the “do or die” fly-by sent the spacecraft into ‘safe mode’ and delayed the transmission of most of the raw imagery and other science observations while mission controllers worked hastily to analyze the problem. But five days later engineers finally recouped Juno and it’s been smooth sailing ever since. NASA faces the curtaillment of many jobs and services during a government shutdown including website updates. Image credit: (and with thanks) Heather Archuletta. Due to budgetary disagreements in Congress, the United States federal government began a shutdown on Oct. 1, 2013 that affected all government agencies and an untold number of government contractors. During the shutdown, which lasted for 16 days, about 97% of NASA’s 18,000 employees were off the job. NASA’s websites were pulled, all the NASA-associated Twitter, Facebook, Google Plus and other social media accounts went dark and NASA Television has also ceased broadcasting. Thankfully, NASA’s MAVEN Mars orbiter was granted ‘emergency exemption’ to resume processing for its launch, (otherwise, the launch may have been delayed for two years) and the mission launched successfully on Nov. 18. Read more about the government shutdown here and here. This summer, for the first time ever, the world was informed that its picture was going to be taken from nearly a billion miles away as the Cassini spacecraft captured images of Saturn in eclipse on July 19. On that day we were asked to take a moment and smile and wave at Saturn, from wherever we were, because the faint light from our planet would be captured by Cassini’s camera, shielded by Saturn from the harsh glare of the Sun. This was no simple point-and-click. Over 320 images were captured by Cassini on July 19 over a period of four hours, and this mosaic was assembled from 141 of those images. Because the spacecraft, Saturn, and its moons were all in constant motion during that time, affecting not only positions but also levels of illumination, imaging specialists had to adjust for that to create the single image you see above. So while all elements may not be precisely where they were at the same moment in time, the final result is no less stunning. It was a big year for commercial space. SpaceX successfully launched their Dragon capsule on a second resupply mission to the International Space Station in March. The launch, rocket stage and spacecraft separations went perfectly, but the Dragon experienced an unexpected failure in the propulsion system that would bring it to the ISS. But SpaceX — with some help from the Air Force — saved Dragon from doom, and the resupply mission went off spectacularly. You can read about what’s ahead in 2014 for the human-rated Dragon here. SpaceX also launched their next generation Falcon 9, and continued their work on the Grasshopper. In September, Orbital Sciences launched their Cygnus spacecraft for their first resupply mission to the ISS, with great success. China scored success with the successful touchdown of the ambitious Chang’e-3 probe with the ‘Yutu’ rover on the surface of the Moon on Dec. 14, 2013. This was China’s first ever attempt to conduct a landing on another planetary body, and was the first landing on the Moon by any entity in nearly four decades. In November, India’s first ever Mars probe Mars Orbiter Mission (MOM) blasted from Earth for a rendezvous with the Red Planet on September 24, 2014 – where it will study the atmosphere and sniff for signals of methane. Read more here. An unfortunate frog at the launch of LADEE from the Wallops Island Flight Facility in Virginia on September 6, 2013. Credit NASA/Wallops/Mid-Atlantic Regional Spaceport. NASA’s Mars Atmosphere and Volatile Evolution (MAVEN) space probe thundered to space on Nov. 18 from Cape Canaveral Air Force Station’s Space Launch Complex 41 on an Atlas V rocket. MAVEN’s purpose is to answer key questions about the evolution of Mars, its geology and the potential for the evolution of life. “MAVEN is an astrobiology mission,” says Bruce Jakosky, MAVEN’s Principal Investigator. Read more about MAVEN’s launch here. It’s been known since 2005 that Saturn’s moon Enceladus has geysers spewing ice and dust. Now, thanks to the Hubble Space Telescope we know of another moon with similar jets: Europa, the ever-enigmatic ice-shelled moon of Jupiter. This makes two places in our Solar System where subsurface oceans could be getting sprayed directly into space — and within easy reach of any passing spacecraft. Coupled with another discovery of clays on Europa’s icy surface, like delivered by comet crashes, this makes Europa a top candidate for missions, according to planetary researchers. We were given the sad news in May that NASA’s exoplanet-hunting Kepler telescope had lost its ability to precisely point toward stars, due to two of four reaction wheels failing, putting its exoplanet search in jeopardy. But as scientists looked for new ways to use Kepler, they determined it could still be able to seek out potentially-habitable exoplanets around smaller stars. In fact, in its new 2-wheel mode, Kepler might actually open up a whole new territory of exoplanet exploration looking for Earth-sized worlds orbiting white dwarfs. This year, NASA’s Curiosity rover discovered evidence that an ancient Martian lake had the right chemical ingredients that could have sustained microbial life forms for long periods of time – and that these habitable conditions persisted on the Red Planet until a more recent epoch than previously thought. Additionally, researchers have developed a novel technique allowing Curiosity to accurately date Martian rocks for the first time ever – rather than having to rely on educated guesses based on counting craters. Meanwhile, the venerable Opportunity rover, going on nearly a decade of roving on Mars, spotted deep stacks of ancient rocks transformed by flowing liquid water eons ago. 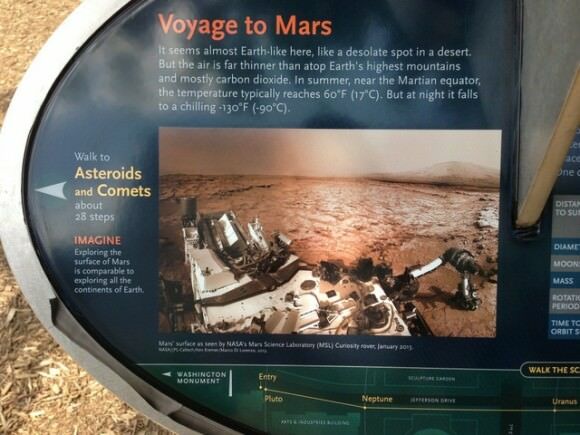 Read more about Oppy’s discovery here. In a cosmically historic announcement on September 12, 2013, NASA said the most distant human made object — the Voyager 1 spacecraft — is in interstellar space, the space between the stars. It actually made the transition about a year ago. While there is a bit of an argument on the semantics of whether Voyager 1 is still inside or outside of our Solar System (it is not farther out than the Oort Cloud — it will take 300 more years reach the Oort cloud and the spacecraft is closer to our Sun than any other star) the plasma environment Voyager 1 now travels through has definitely changed from what comes from our Sun to the plasma that is present in the space between stars. 2013 was billed as the Year of the Comet, as several comets were expected to reach naked-eye visibility. There was Comet C/2011 L4 PANSTARRS, C/2012 F6 Lemmon, and the one everyone was waiting for, Comet C/2012 S1 ISON. ISON ended up not making it past its close encounter with the Sun, but we are now being rewarded with another early morning comet, Comet C/2013 R1 Lovejoy. Just as anticipated, on Friday, Feb. 15, asteroid 2012 DA14 passed us by, zipping 27,000 kilometers (17,000 miles) above Earth’s surface — well within the ring of geostationary weather and communications satellites that ring our world. But before that close pass occurred, there was a completely unexpected appearance of a remarkably large meteor in the skies over Chelyabinsk, Russia on the morning of the same day, surprising scientists and causing damage and injuries to the unsuspecting residents of the city. While this event provided insight and information about what happens when an asteroid intersects with Earth, it also highlighted the need for continued research of near-Earth objects (NEOs) — since there are plenty more out there where these came from. Universe Today is proud to announce that we are partnering with OPT Telescopes and SpaceWeather.com for a brand new Comet ISON Photo Contest, with over $10,000 in prizes to give away! Comet ISON is one of the most anticipated sky events for years, and already astrophotographers have been busy trying to capture images of this comet. But as it gets closer to the Sun, hopefully it will become even brighter and visible to more people – not just the astrophotographers with the really great equipment! This new photo contest features several different chances to win some great prizes, thanks to OPT Telescopes, the folks behind this contest. There will be a popular vote on Facebook with winners of first, second and third places, as well as images judged by a panel of experts with three winners in that category as well. Who can participate? Anyone aged 13 years and older who has a valid email address. (Employees of OPT, Universe Today and Spaceweather.com are not eligible for entry.) Images must be the original work of the contestant. The contest begins today, November 1st, 2013 and ends midnight December 31st, 2013. Winners will be announced by January 7, 2014. The first is through Facebook on this OPT Telescope page. Entrants are required to submit their date of birth, email address, real name and technical information about their image and location captured, as well as “liking” OPT Telescopes on Facebook. Your image will become part of OPT’s Facebook gallery. One image, per day, per entrant is allowed. If you’d rather not go through Facebook, you may submit via email to this address. Emailed entries are also required to list date of birth, and information about their image in regard to equipment used and location captured. All emailed submissions will be manually entered onto the OPT Facebook gallery to participate in the popular vote. Again, one image, per day, per entrant is allowed. We also encourage those who enter to also upload their images to Universe Today’s Flickr Group page, so more people can see your images! We also feature many of the images uploaded there in our articles. What are the prizes? As of November 1st, the prize donations are still rolling in! We now have over $10,000 in astronomy gear to give away to the winners of this contest. Final prize packages will be announced November 5th. So, stay tuned. See this page for complete details and rules. Good luck and we can’t wait to see all your images! !